"Near me searches have exploded, with more consumers prioritizing proximity over brand loyalty." More than 80 percent of us search "near me" on our smartphones when we shop, a new study has revealed. Research by Uberall, the location marketing solution for businesses competing to attract and win local brick-and-mortar customers, found that consumers are ditching brand loyalty for convenience. Nearly 70 percent of the 1,000 mobile users survey said they use their smartphone to help them shop. 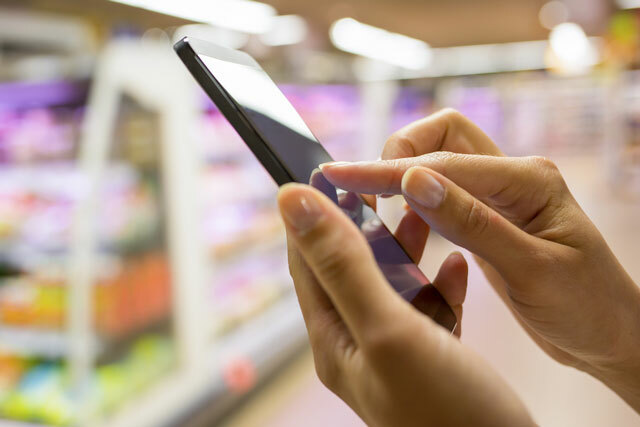 When asked how they typically use their cell in this capacity, the top-five responses included: researching products (63 percent); price comparison (62 percent); search for coupons or deals (56 percent); check for store hours (54 percent), and find nearby store locations (52 percent). The majority of people surveyed said they use the "near me" search for food. Rounding out the top-five were entertainment, banking, apparel and personal care. When asked to rank "specific retailer or store ‘near me’ searches," "general product ‘near me’ searches and "specific brand ‘near me’ searches," the top response was "a specific retailer or store." This includes searches like "Foot Locker near me." General searches for a product (e.g., "Where can I buy toys near me") was the runner-up, followed by searching for a specific brand (e.g., "Where can I buy Nike near me"). Sixty percent of respondents said they were "very likely" to click on the first two to three results after doing a "near me" search,, with another 33 percent saying "somewhat likely." In total, 93 percent said they were likely to click on the first set of results.